Anyway, today is Stamp, Ink, Paper Challenge Day! 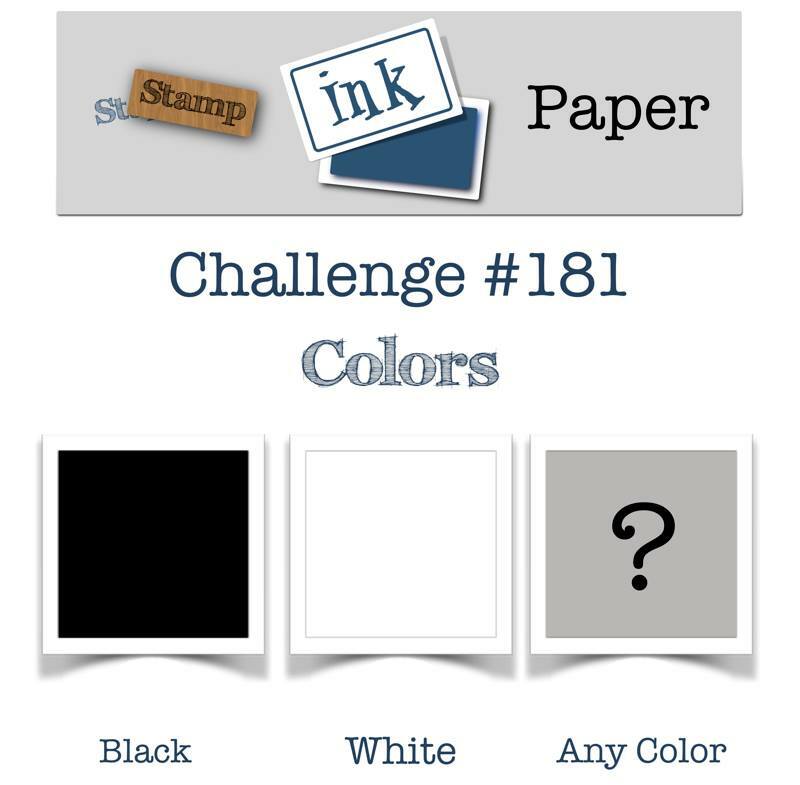 This week our theme is a color challenge — Black, White, and any other color. I love black & white challenges because they really highlight that one extra color and let it be the star of the show. I chose Call Me Clover for my third color. Isn’t it stunning against the black cardstock? 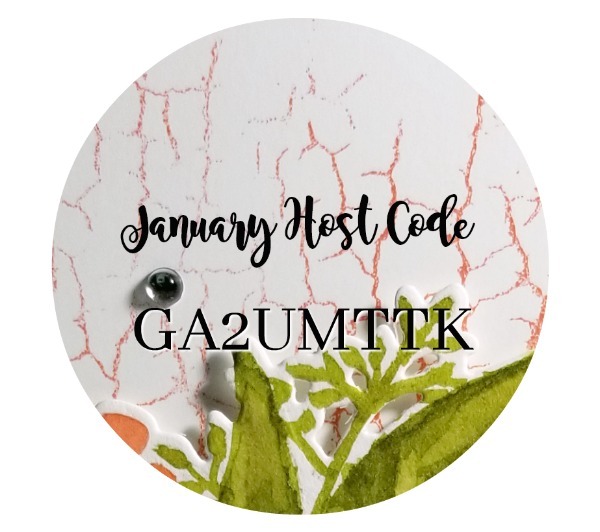 We’d love for you to play along with the challenge this week, so please head over to the challenge blog! My card base is Basic Black, 4-1/4″ x 11″, scored at 5-1/2″. 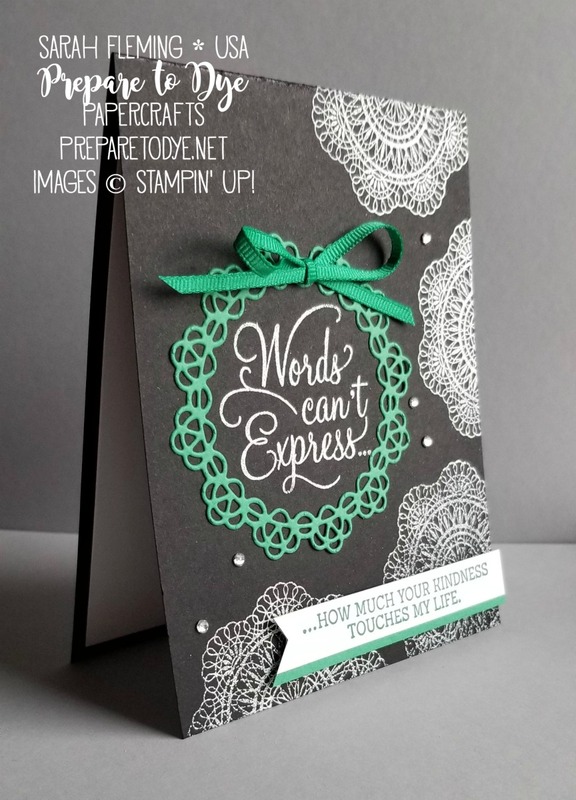 I first heat embossed a few doilies on the card base using the Dear Doily stamp set. Then I heat embossed the big sentiment on the card base, from the same stamp set. 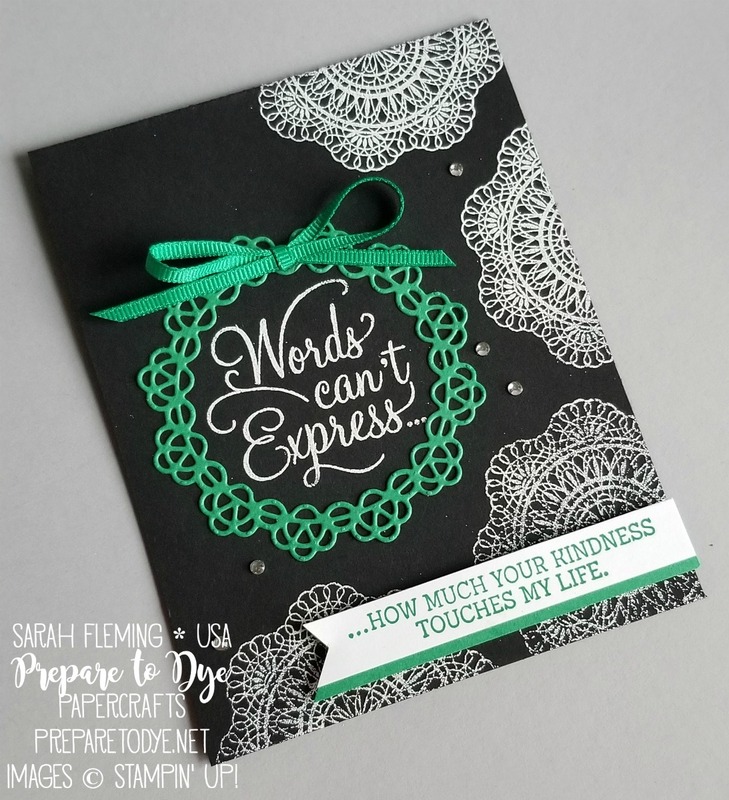 I stuck a piece of Call Me Clover cardstock to a Multipurpose Adhesive Sheet (about 3-1/2″ square), then cut out the detailed doily from the Doily Builder thinlits dies. I peeled off the release paper and stuck the doily sticker to the card base. 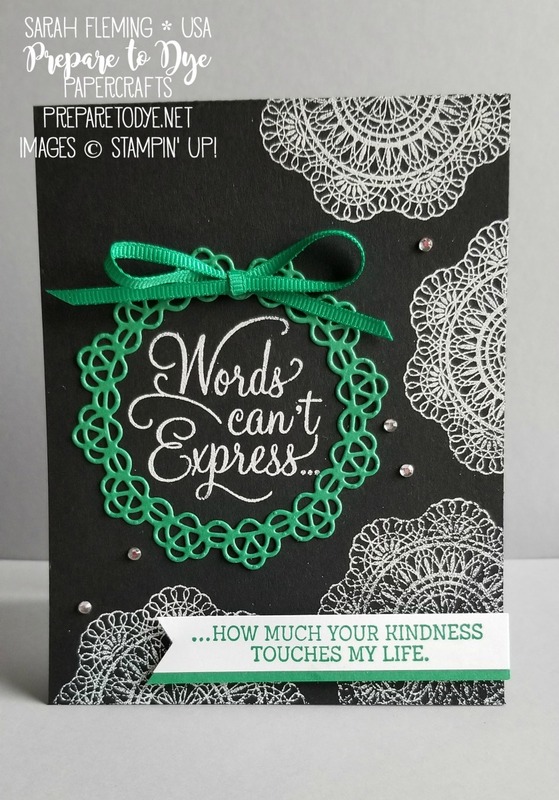 I stamped the smaller sentiment on a 1/2″ strip of Whisper White cardstock in Call Me Clover, then trimmed it down and flagged one end with the Banner Triple punch. 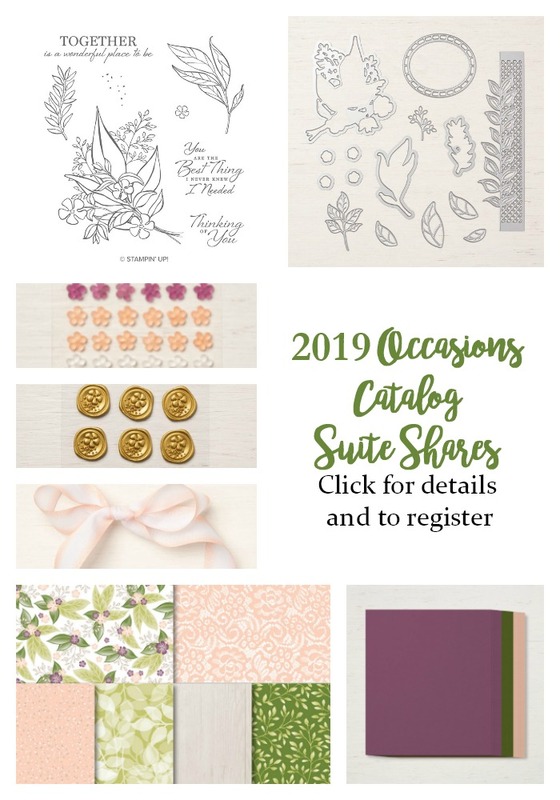 I layered that on top of a 1/2″ strip of Call Me Clover cardstock, trimmed the Call Me Clover cardstock down, and mounted the banner on the card with Dimensionals. I finished the card off with Rhinestones and a bow. Fun!